The Wildside Jar capacity is approximately 3 Quarts. This item has 4" Stainless Steem Blades and Vented Gripper Lid. 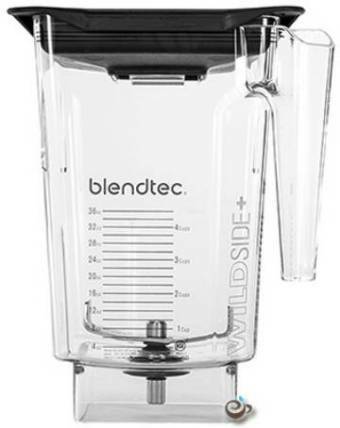 An exclusive, patented square design with a fifth side and large capacity produces thicker, faster blending and shorter customer wait times. Its extra-wide base, along with a more aggressive blade nearly 4-inches long, has helped the WildSide+ jar to raise the bar in the commercial blending category.